I’ve been on Etsy for a little while now, I have my own shop but as a buyer I mainly use it for buying fabric. There’s some excellent Liberty fabric stockists on there *siigh*. Anyways, I’ve never made a Treasury before…a Treasury is a list of stuff you like that you make public. Kind of like Look What Good Taste I Have. I decided to find out what kinds of handmade dancewear I could could find and list, and WOAH MAMA! Have you ever seen anyone wear a leotard like this…. Mega love for two-toned leos over here at the moment. Swoon. The shop is called Lone Reed Designs – run by former Houston Ballet dancer Jordan Reed, who makes all different kinds of unusual and elegant leotard designs. There are some particularly rad designs with mesh panels, if the floral print ain’t your thing. 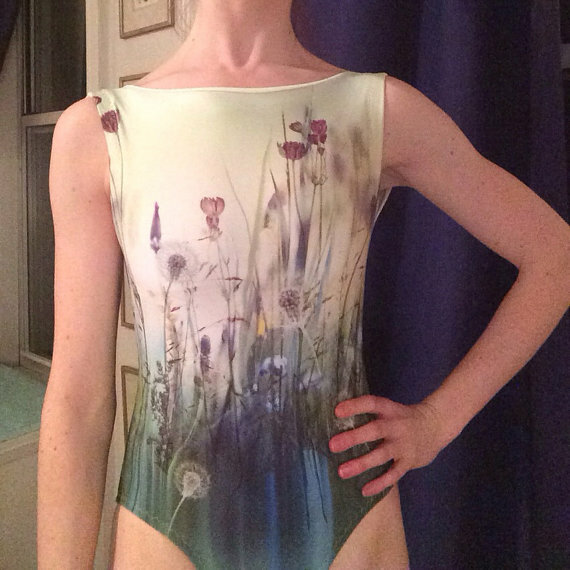 AND – get this – you can custom order your own bespoke leotard! I haven’t ordered anything myself – yet – but will definitely review if I’m lucky enough to get my mitts on any of this beautiful stuff.